What You’re Not Being told About Vitamin C. – NATURES' FIRST PATH: HOlISTIC MEDICINE. Posted on October 30, 2017 April 3, 2019 by Natures First Path: Holistic Nutrition. 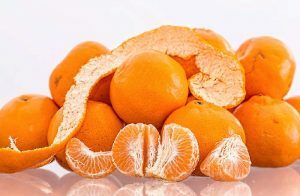 Scientifically, Human Beings do not make enough internal Vitamin C on our own to boost and keep our immune system strong enough consistently to fight off infections, diseases and the break-down of our bone structure. With that said, at the same time many of us are aware that when someone is in the path of a cold coming out of our bodies (*we don’t catch colds, the conditions for the cold virus is always there: it’s the immune system that becomes compromised) , we know that Vitamin C is needed to quickly bring the body in balance and heal so that the person can feel better and move on with their lives. While we may know about using it when we feel sick, how many of us are aware that Vitamin C has and can be used as a preventative method to allow the body to resist disease and illness before it even gets to that point? Of course the benefits of using higher doses of Vitamin C will vary from person to person, but what is certain that a vast majority of us only take Vitamin C at its recommended daily dose. The recommended daily doses intake is set at its minimum; the minimum is usually not effective enough as preventative method. So far, there have been no known reported toxicity related illnesses or deaths with the people who take higher doses of Vitamin C. Vitamin C is the safest nutrient to ingest that we know of and many report not having any side effects with it. When people up-dose and increase their daily intake it benefits and improves almost every function of the body: because the body is the immune system. When we think about it and look at it this way that means when the body heals; it may treat a symptom within the body, but its effects benefit other parts of the body as well. In our times Vitamin C is needed by everyone, every day at higher levels than the ones that we have been taking. Not just diseases, but added stress lowers our ability for our immune system to work at its best. These are stressful times, so Vitamin C has to be a daily part of our lives just to function smoothly. Even though it is in its early stages (*although it has also been practiced by many for several years), Vitamin C therapy is looking to make some headway in the path of both Natural Healing and standard western medicine. Remember that the older that we become, the rate at which Vitamin C heals and works in our bodies needs an increase due to the slowing down of the Vital Life Force within. Vitamin C, is just one of the Vitamins that the vast majority of us are deficient in; we will dedicate another segment on Vitamin Megadosing in general in the future. In the meantime, all the best and in health to you and your families. *Take a deeper dive with your health and wellness and get your copy of ‘Spark of Life’, written by Dr. Scott. ‘Spark of Life’ takes you on a journey of true Naturopathic healing that addresses our state of nutrition, movement and mindset, all the while offering concrete solutions that you can apply to your life the first day you read it. Get your copy today.